Does Homeowners Insurance Cover Roof Damage? Many homeowners wait until after they have a damaged roof to ask the important question: Will my homeowners insurance cover roof damage? The best information about what is and is not covered will come from your insurance provider. In most cases, some types of damage are covered by your homeowners insurance. The type and amount of coverage could vary based on your location, the age of your roof, and other less obvious factors. It is always good to familiarize yourself with the specifics of your homeowners policy. When you sign up for an insurance plan, you are trading regular monthly or annual premiums for coverage in case of catastrophic (or just expensive) loss. The insurance company is betting that you will pay more in premiums than you will claim in coverage. Meanwhile, homeowners are betting that the total of their premiums and deductible will be less than the damage they are able to claim, making the policy a net gain for the homeowner. The fact is, just like any gambling, the house always wins. In the case of insurance, this means that the insurance companies will always end up collecting more in premiums (across all of their customers) than they pay out in claims. If they didn’t, they would make no money and have no reason to exist. To ensure that the insurance company always wins, insurance companies hire teams of actuaries. Their sole job is to figure out the likelihood that you (or a customer like you) will make a claim, and what type of claim that will be. With that information, insurance companies set premiums and deductibles so that they always come out ahead. If you have actual damage to your roof, you may be the lucky customer who gets the payout. The reason insurance companies are able to exist, is that sometimes they really do cover a claim greater than the customer’s combined premiums and deductible. And customers are willing to pay the premiums to protect themselves in just such a situation. In order to be an insurance company and not just a “payout company”, insurance companies don’t cover all damage and repairs. If damage is due to the age and disrepair of your roof, chances are it is not covered. It is your responsibility to maintain your roof and replace it when it reaches the end of its useful life. But if you have unexpected and unpreventable damage, that’s when your insurance kicks in. Most commonly, insurance covers unexpected and unpreventable damage from things like fire, vandalism, and weather damage (such as hail, wind, and trees or debris from a storm). Before an insurance company will pay for repairs or replacement they will send out an adjuster to do an inspection and verify the extent of the damage. The adjuster is there to protect the insurance company from fraudulent claims. They will determine that the damage is from a covered event (i.e. from hail and not the homeowner’s sledgehammer) and the extent of the damage. After the inspection, the insurance company will determine their estimated cost of repairs (or occasionally of full replacement). The best way to help an insurance adjuster to determine the cause and extent of damage is with pictures. They say that a picture is worth a thousand words. In this case, it may also be worth a thousand dollars (or more). 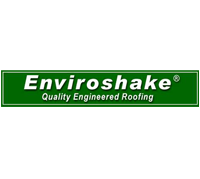 Take some “before” pictures of your roof and the outside of your property. That includes gutters, siding, and anything else attached to the structure of your home. Take new pictures after any maintenance, so that you always have current photos of what your roof and property look like. In the event of a storm or other damage, take “after” pictures as soon as safely possible. This will help the insurance adjuster to determine what damage came from the covered event. Of course, is it not always safe to climb up on a roof and take pictures, especially if you suspect your roof is damaged. In that case, you can wait for the adjuster or call a reputable roofer for an inspection. 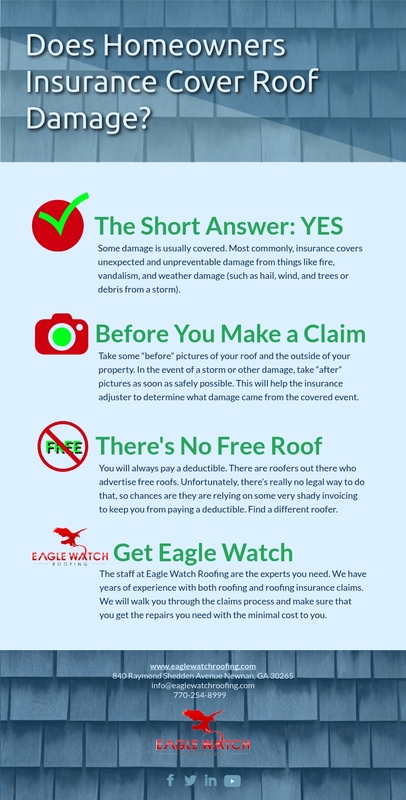 Eagle Watch Roofing will come out to your property and meet your insurance adjuster on the spot. Our trained and experienced roofers will work with your adjuster to ensure that you get a fair estimation of damages. Once the adjuster has determined the extent of the damage and approved the claim, we’ll make sure that they cover all applicable damages. We’ll also advocate for you to make sure the insurance company pays the current industry standard regional prices. This way we can make all the necessary repairs to your property for the replacement costs determined by your insurance company. All you will be left with is the cost of your deductible and any upgrades. Does an Insurance Claim Mean a Free Roof? They say that there is no such thing as a free lunch. There is also no such thing as a free roof. Any roofer that advertises a free roof should send you running in the opposite direction. Unless you have a zero deductible homeowners insurance policy (they don’t exist), you will always pay something. 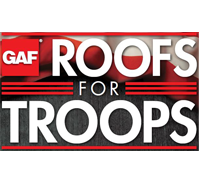 There are roofers out there who advertise free roofs. They say they will waive the deductible or absorb the cost of the deductible. Unfortunately, there’s really no legal way to do that, so chances are they are relying on some very shady invoicing to keep you from paying a deductible. Insurance companies used to use a very simple technique to cover claims. The adjuster would come to your home and determine the extent of the damage. The insurance company would estimate the cost of repairs. Then they would write the homeowner a check for the repairs minus the deductible. The homeowner was free to do whatever they liked with that money. If repairs were estimated at $5,000 and the deductible was $1,000, the homeowner would get a check for $4,000. The homeowner could then choose to pay a cut rate (low quality) roofer $2,000 for the repairs and buy tickets to Hawaii with the remainder. Or they could skip the repairs altogether, keep the $4,000, and live with a tarp over their living room. The choice was theirs. That’s not how insurance works today. Most policies have a Replacement Cost Value provision. That means that the insurance company will only pay the actual cost of repairs. Some money will be released to the homeowner to begin with, but the full cost of repairs can only be retrieved with an invoice from a roofing contractor or general contractor. 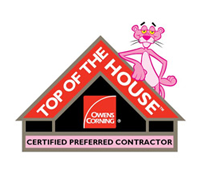 Usually the roofing contractor bills the insurance company directly. It is illegal to siphon money from an insurance claim back to a homeowner. This protects insurance companies from homeowners seeking personal profit from a claim. It also means that a homeowner (or roofer) can only get as much money from the insurance company as the roofer invoices. Roofers who advertise free roofs usually cover the cost of the deductible by billing the insurance company for their work plus the deductible. This is outright fraud, and if you get caught it will probably not be just the roofer who takes the blame. Most homeowners are not experts in the fields of insurance or roofing. Luckily, the staff at Eagle Watch Roofing are just the type of experts you need. We have years of experience with both roofing and roofing insurance claims. 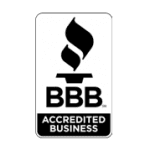 We will walk you through the claims process and make sure that you get the repairs you need. And our experts will help ensure that you get all the coverage you are due. In most cases, you pay just the deductible. If you think you have a claim for damage to your roof, make Eagle Watch Roofing your first call.